In Port-au-Prince, everything happens on its own time. Transportation vehicles zoom around, traffic and people congest the streets, and meals are eaten when food is available. While driving around the city, senses are bombarded by the brightly colored tap-taps loaded with people, the trash in the streets, the lady carrying a live chicken by its wings, the men zooming between traffic on motorcycles, the elderly woman missing her teeth that is holding out her hand, the young boy gnawing on a corn husk at his mother’s produce stand, the man under the Digicel umbrella that is selling an array of cords, the little girl sweeping trash away from her family’s spread of vegetables and fruits, the woman absentmindedly staring out at it all, her orange flip-flops dangling from the ledge she is perched on. Dr. Barbara Stewart showing a group of boys how to test the water for chlorine levels (a process that involves adding drops of colored liquids to the water sample to check for color change). 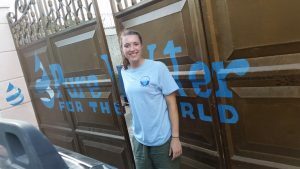 The goal of this past week in Port-au-Prince, Haiti with my parents, was to learn as much as possible about the PWW Haiti office and to do water testing at a local orphanage that my mentor, Dr. Barbara Stewart, has been monitoring for the past two years. Last summer I had the privilege of getting to know most of the children in that Port-au-Prince orphanage on a medicine and water mission trip so it was such a joy to be running around testing water surrounded by a gaggle of familiar kids. Around thirty more children entered this orphanage within the past year as a result of Hurricane Matthew, growing the number of orphans to care for to around 100. The sheer quantity of mouths to feed has made access to clean drinking water all the more important in maintaining overall health in the orphanage. 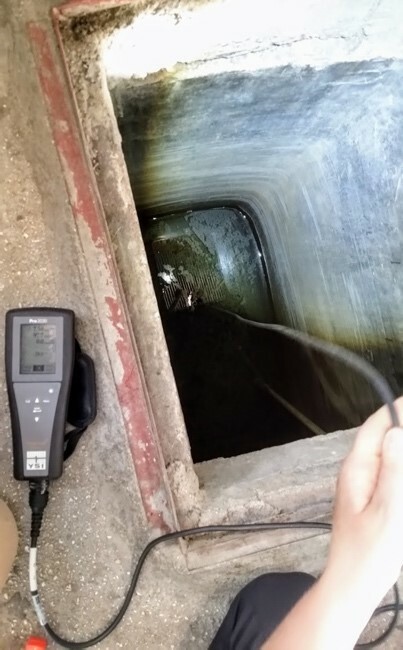 In the photo to the left, a YSI conductivity and dissolved oxygen probe testing the water cistern where water is delivered weekly by a water truck. This source water has been found to have high levels of conductivity in the past, indicating a salty water source caused by close proximity to the ocean. As you may notice in this picture, the water levels were low when we arrived. As such, we talked with caretakers about how with more children, more water is needed. Me as I open the gate to the PWW office. We were testing total coliforms and E.coli in no time. After testing the water directly at 7 different sites throughout the orphanage, including drinking water spouts in the kitchen, water tanks on the roof, sources in the bathroom, and the water cisterns where the water is originally poured into, we took microbial samples to the PWW office for processing. 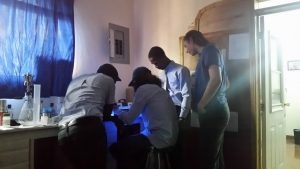 We trained Andrew, Jean Pape, and Junior in the PWW office how to use the new equipment for microbial tests. 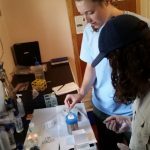 After Andrew, Jean Pape, and Junior learned how to use the new equipment for testing microbes, Andrew showed me the much longer process of membrane filtration. Just sterilizing the equipment takes 15 minutes using this technique and there are a lot of steps that create opportunities for error in the thirty-minute long methodology (shown in photo to the left). On Tuesday, we spent the morning working with Junior, Jean Pape, and Andrew on getting an analytical balance up and running to be used for making standard solutions for their equipment. Dr. Barbara Stewart explained a lot about how to properly clean glassware and instruments using acid/base washing and how to safely dispose of liquid wastes in the laboratory. 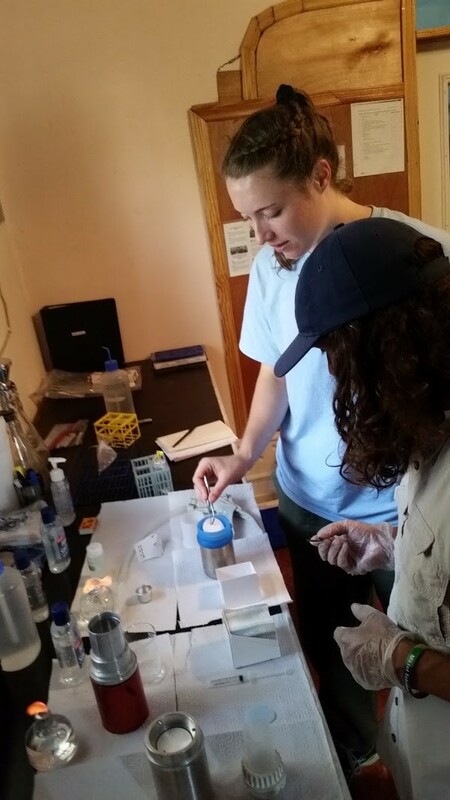 In the afternoon, we taught Andrew, Jean Pape, and Junior how to count our samples for total coliforms and E.coli that had been incubating from the day before. 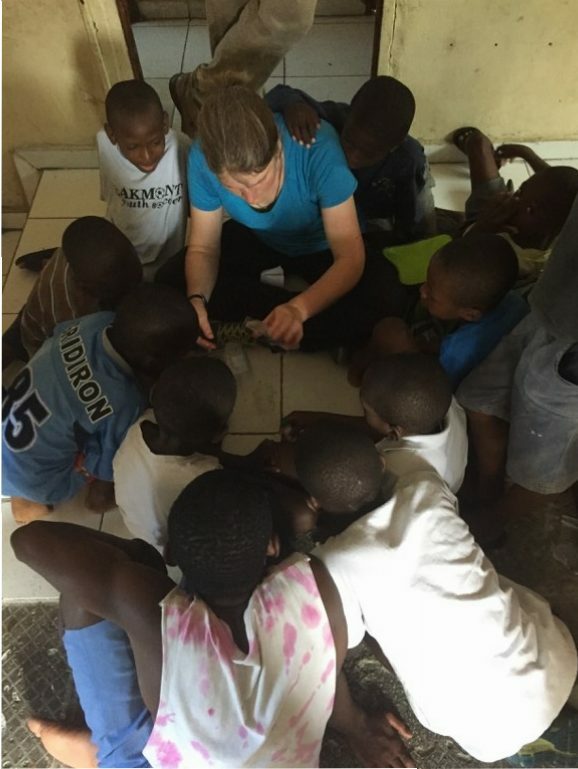 Once the microbial results had been processed, we headed over to the orphanage to talk about how some of their faucet nozzles need to be scrubbed with bleach to decrease residual amounts of total coliforms bacteria in their water. We also were able to connect PWW to this particular orphanage for future WASH workshops with caretakers and kids to continue improving their health and water practices. On Tuesday night, Andrew and Laura, another lovely member of the PWW staff, took us out to dinner at a nearby Haitian restaurant. During dinner, I asked Laura what the drinking age in Haiti was. She responded that laws never last in Haiti because people don’t like to be told what to do; a new law may be implemented for a month, but after that it becomes as forgotten as the omnipresent trash in the streets. It takes some time to understand the essence of Haiti, but once you do, everything makes more sense. Wednesday was a wrap up day where Andrew taught us all about the the KoboCollect program, an app used on tablets that manages surveys given to community members. This technology is very cool because it makes keeping track of where projects are being conducted, and what certain details of those projects are, much easier. Learning all about this program program, an app used on tablets that manages surveys given to community members. This technology is very cool because it makes keeping track of where projects are being conducted, and what certain details of those projects are, much easier. 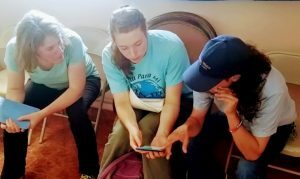 Learning all about this program inspired me to think about ways that this technology could be implemented in Honduras and how much of an impact tablets will have on future management of health and water sanitation surveys. The implications of being able to keep track of where water filters were installed, how long ago, by who, along with pictures, GPS coordinates and an identification barcode to go with it, are incredible. Now it’s time to get ready for the upcoming week at the PWW office in Trojes, Honduras!